Beautiful and long kimono from Cream. 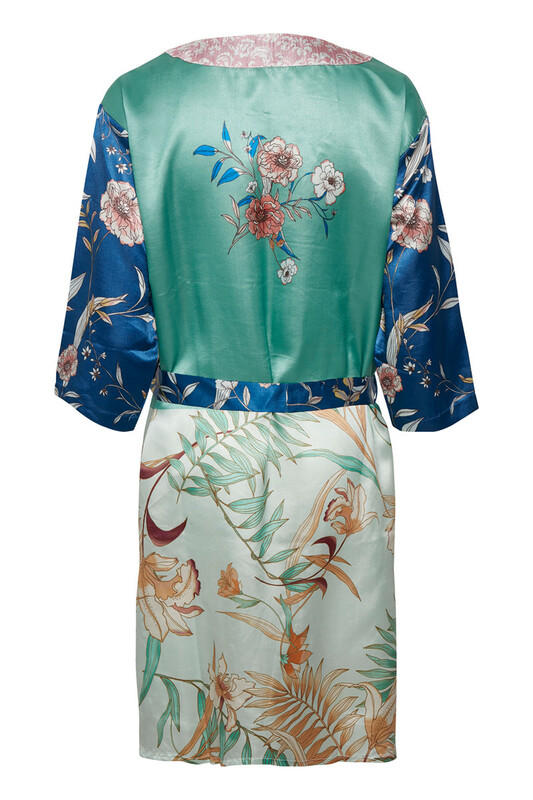 The Kimono has 3/4 sleeves and has this trendy mix of different floral prints, creating a stylish expression. Furthermore, it has belt loops and tie belt at the waist, which provides some cool styles options. It makes it possible to tie it on the back, front or at the side - it's up to you. It is very comfortable to wear and is light in quality. 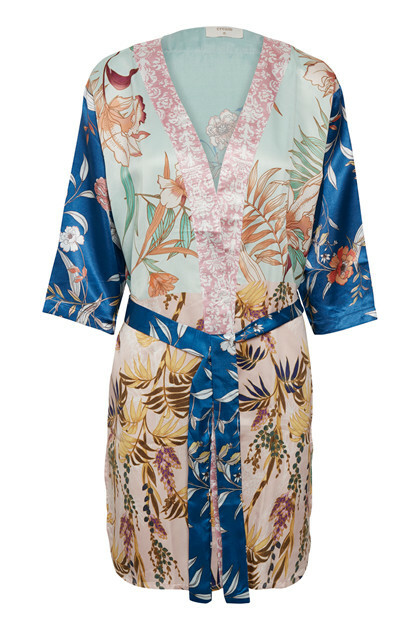 It is definitely a beautiful kimono in nice print that can be used for both everyday use and party events.